Caster Semenya took the next step towards a 1500m / 800m double winning her 800m semi final in 1:58.90 with Angelika Cichoka the closest contender in 1:59.32. 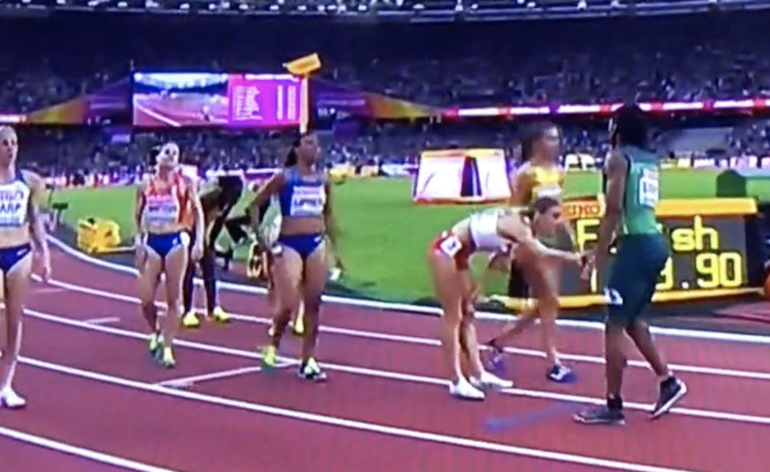 The South African adopted her traditional opening by dropping into a comfortable rhythm towards the back of the pack and running on the outside. Entering the final bend Semenya eased forward to third as American Charlene Lipsey pulled the field through 400m in 58.98. 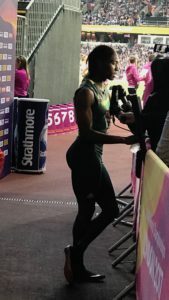 There was little doubt that Semenya was in control, gradually applying pressure around the final bend and opening a comfortable lead by the line to secure the fastest qualifying time of the night. There appears no loss of form despite the 1500m heats, semi and final races from earlier in the week. There is an air of destiny even amongst the media contingent that the Gold is already secured for Semenya on Sunday, and that the questions are going to be who will take silver and bronze. If anything produces an achillies heel, it is over confidence as many an athlete has found out. Semenya’s experience is at the opposite end of the spectrum to Gena Lofstrands inexperience, but the KZN athlete put forward another truly gutsy performance to show that she has a great future on the world stage. 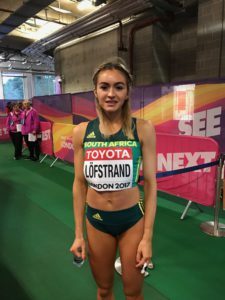 Having defied the paper rankings to claim her place in the semi-finals, Lofstrand, knew that the goal would be a personal best, and expected her semi to go out fast. After a fast start the pace dropped dramatically going through 400m in 60.89 seconds, which was not acceptable to Lofstrand who then moved to the front to speed things up. The message was clear with the contenders claiming back the lead with Francine Niyonsaba taking the line in 2:01.11 ahead of Margaret Wambuii. Lofstrand finished last, and disappointed with her 2:03.67. The Durban based 21-year-old had far exceeded expectations in reaching the semi final, and the gain and growth of the experience will be pay back as she focuses on the Commonwealth Games build up for next April. 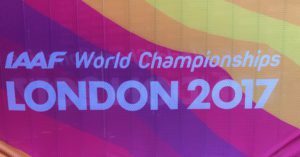 The women’s 4 x 400 squad were invited by the IAAF to be added to the team, so they have limited baton change practice. 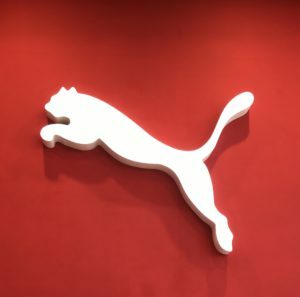 The Saturday afternoon heats (12:20pm RSA Time) are the only South African competitive interest tomorrow, but there are six final events including Mo Farah’s final 5000m race where he hopes to complete the third double of 10,000 and 5000m and the 4 x100 relays which will have many South African supporters and athletes speculating what could have been had a more structured approach been adopted to getting a qualification or without the clash of SA championships with the World Relay championships.